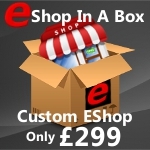 E Shop Hosts are offering discounted .ORG domain registration at the amazing price of Only £3.99 for an annual registration period. That is discounted by more than 50% off our regular annual registration fee for the first year! Take advantage of our latest special offer for domain registration to obtain a distinctive .ORG domain name at a fabulous reduced price. The .ORG domain extension is classed as a generic top-level domain (gTLD) within the Domain Name System (DNS) used throughout the Internet and the .ORG name is derived from the abbreviated word organization. The .ORG domain extension was first used in January 1985 and is one of the first available generic top level domains and although it was originally intended for non-profit organizations or organizations of a non-commercial nature or websites that did not meet the requirements for other gTLDs at the time, today it is widely used by all types of websites as an alternative to other TLD’s such as .COM and .NET. Organizations anywhere in the world can register .ORG domain names although there are many countries including Australia , Russia and the United Kingdom, that have established second-level domains with a similar purpose under their own ccTLD for example .ORG.UK. The .ORG domain extension is a popular choice of domain name to use. So taking advantage of this Cheap .ORG Domain Registration Offer and buying the .ORG version for your website makes good sense. Our usual Domain Registration Terms and Conditions apply to any domain name registered when using this promotion. Remember!! You can Use your .ORG domain name for your company, ecommerce, blog or any other type of website.